The Huntsville/Madison County Chamber Annual Membership Meeting provides an overview of the Chamber's many activities and successes throughout the year and is one of the our largest annual events. Gary Bolton, the Chamber's 2018 Board Chair and ADTRAN's Vice President of Global Marketing, will pass the gavel to Chair-Elect Kimberly Lewis, CEO of PROJECTXYZ. The Distinguished Service Award will also be presented. This is the highest honor the Chamber bestows to a deserving volunteer in the Huntsville/Madison County community. 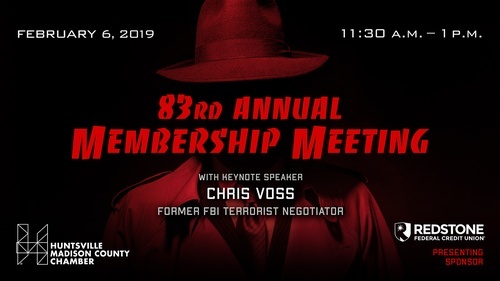 Our special keynote speaker will be former FBI lead international kidnapping negotiator Chris Voss, author of Never Split the Difference: Negotiating As If Your Life Depended On It. 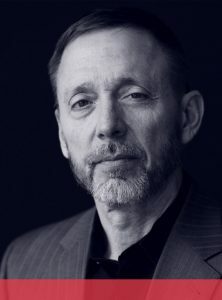 In his fascinating work, Voss explores radical techniques and strategies for negotiating in both business and everyday life.